Sign up for Stuart Jones' Mailing List to receive updates on exhibitions, private views, offers and artist insights! 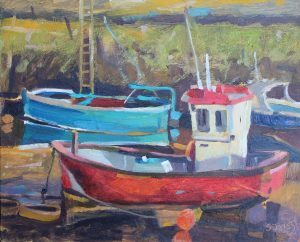 ‘Painters Outdoors: Plein Air in the North’ at Hartlepool Art Gallery, 23rd March-25th May. Tuesday-Saturday, 10am-5pm. Free Entry. More details in the menu under Exhibitions. All work for sale. 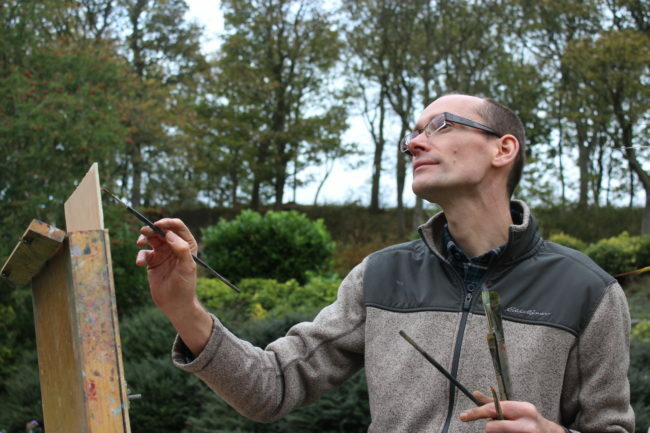 I’m an outdoor landscape painter based in Newcastle upon Tyne. 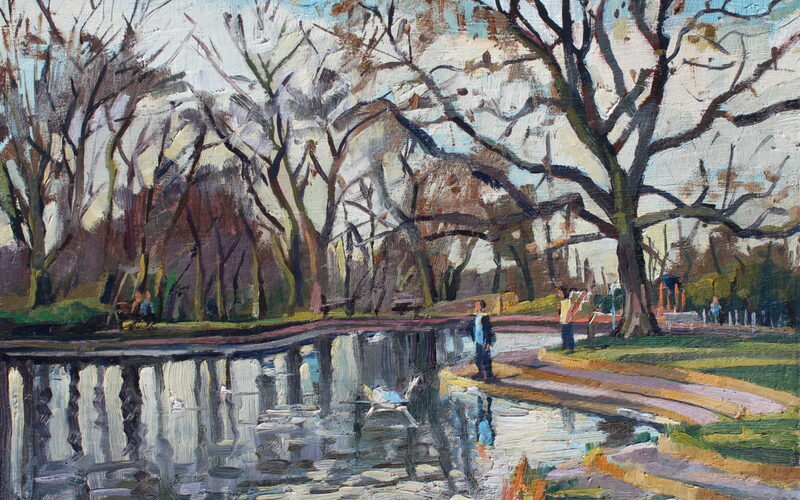 All my original oil paintings are created from life or from direct observation of the subject. Working on location in the open air or ‘en plein air’ allows me to interpret the effects of light, atmosphere and colour in the landscape and make use of lively impressionistic brushstrokes to capture the moment. Most paintings are available for purchase in the shop. I also welcome commissions so if you would like me to create an oil painting especially for you just get in touch and I’d be happy to help. Most recently I’ve been working on a series of works in Jesmond Dene and Paddy Freeman Park, some of which are now available. New paintings in the shop. Free Delivery in the UK! Spread the cost over 8 months using Paypal link!